Each year, the Cleveland Museum of Contemporary Art (MOCA) holds an annual fundraiser in which elite members of Cleveland’s community come together to support the arts. This affair, also known as the MOCA Gala, is a night full of laughter, conversation, and delicious food provided by Marigold Catering. Returning as proud production partners for the past 3 years, it was our distinct pleasure to provide audio, video, and lighting services for this year’s MOCA Gala! 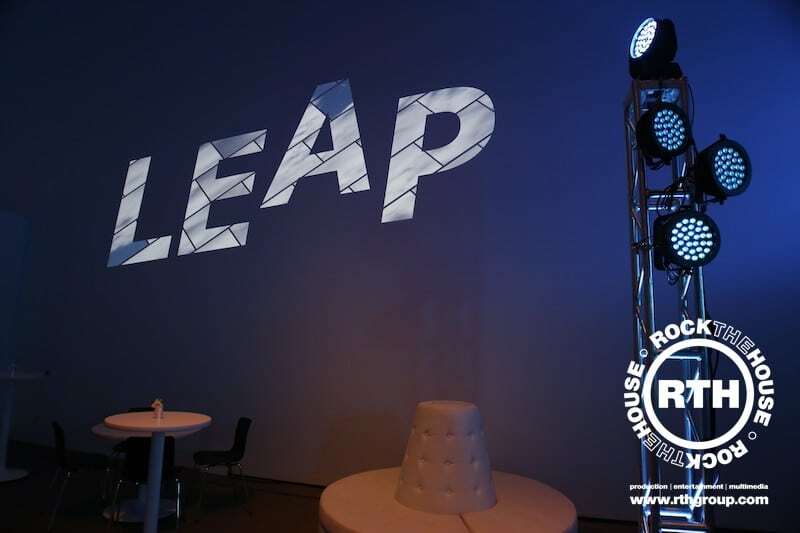 As event professionals who know the impact lighting can make on an event, Rock The House Audio Visual aspired to design a clean look associated with the gala’s main theme; “LEAP”. 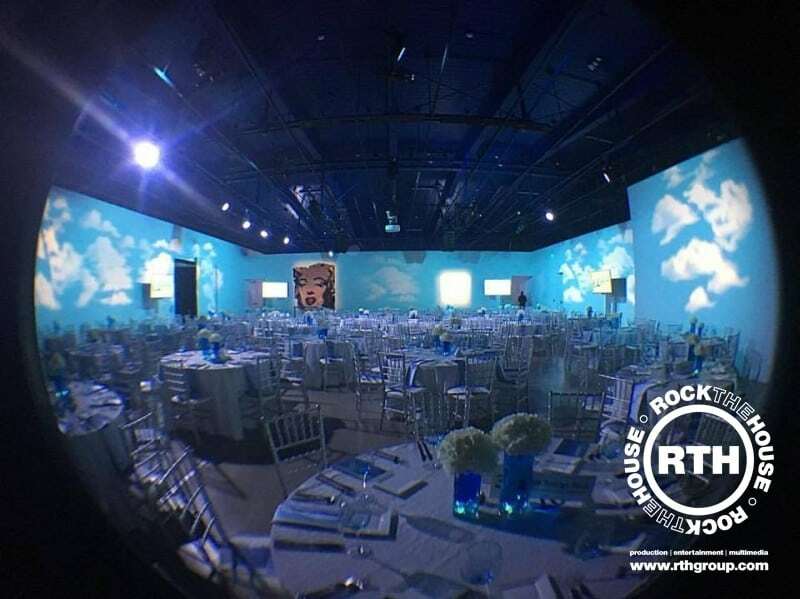 Led by Founder/CEO Matt Radicelli, the RTHAV team wasted no time designing a sky-like atmosphere, illuminating the normally-white room with light blue accent lighting, dabbled with the occasional cloud or two. 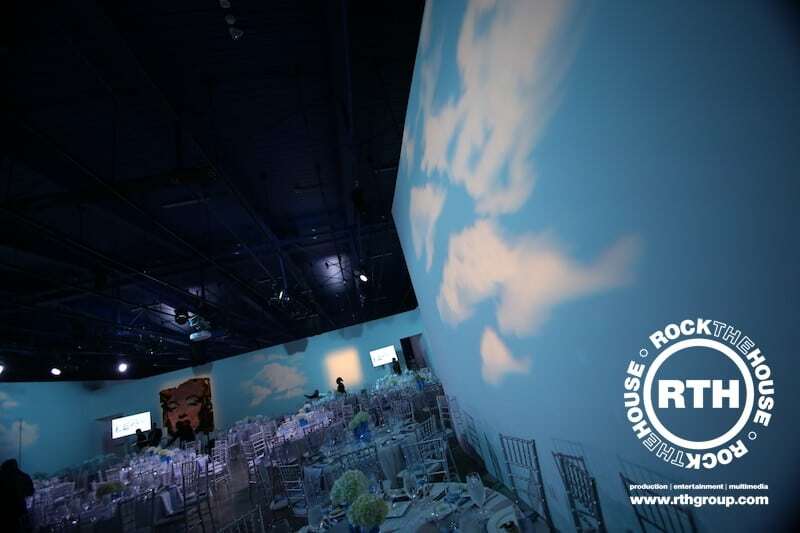 This was accomplished using uplighting and gobos mounted from overhead support beams, and the final look left the white room appearing to have painted walls, with no distinguishable lighting sources viewable from the entrance. 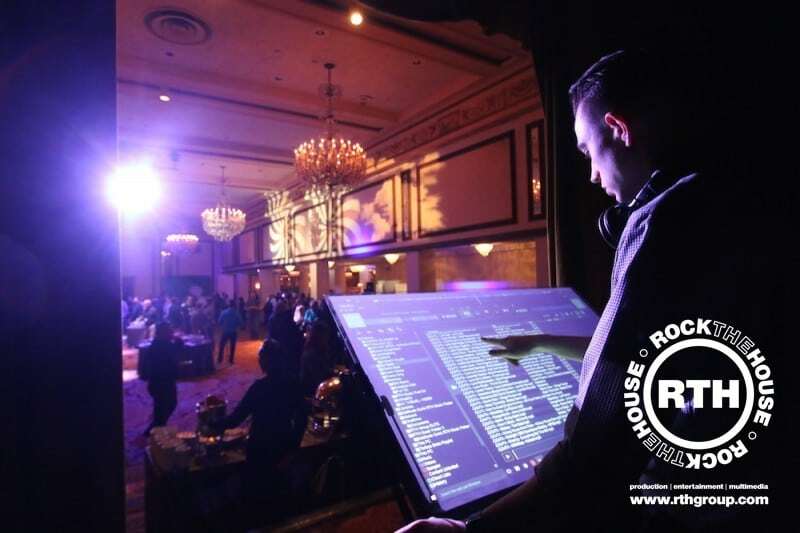 In addition to lighting, Rock The House Audio Visual also provided audio and video services, allowing key speakers to present with ease, as an overhead projector displayed visuals that may be relevant to any of the presentations throughout the gala. Truly a night to remember, RTHAV would like to thank all guests in attendance who came to show their support, as well as the staff of the Cleveland MOCA, and everyone else who made the event possible. 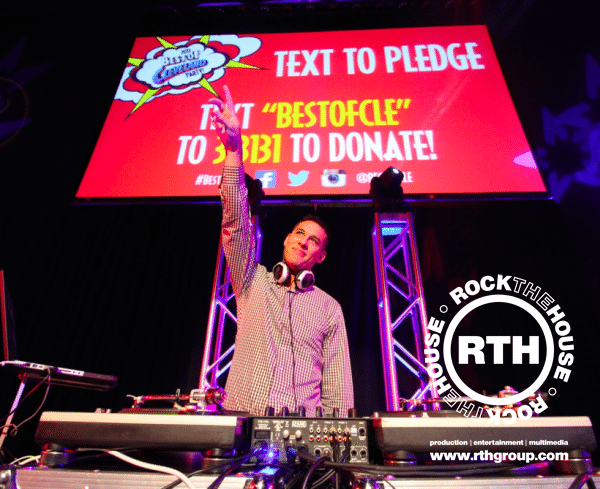 Interested in Rock The House’s production services for your next corporate, non-profit, or social event? 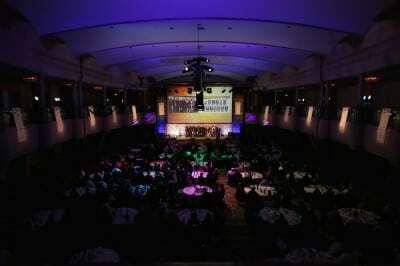 Contact our team of #EventProfs today to visually stun your guests at your next event! 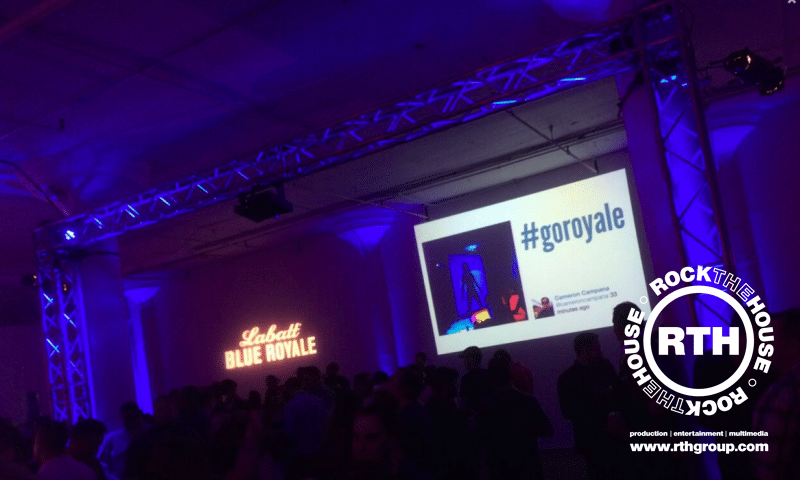 AAble Rents, known for its elaborate tent and event rentals, pulled out all of the stops (with a little help from Rock The House) for its unveiling of LOFT1365 in Cleveland. 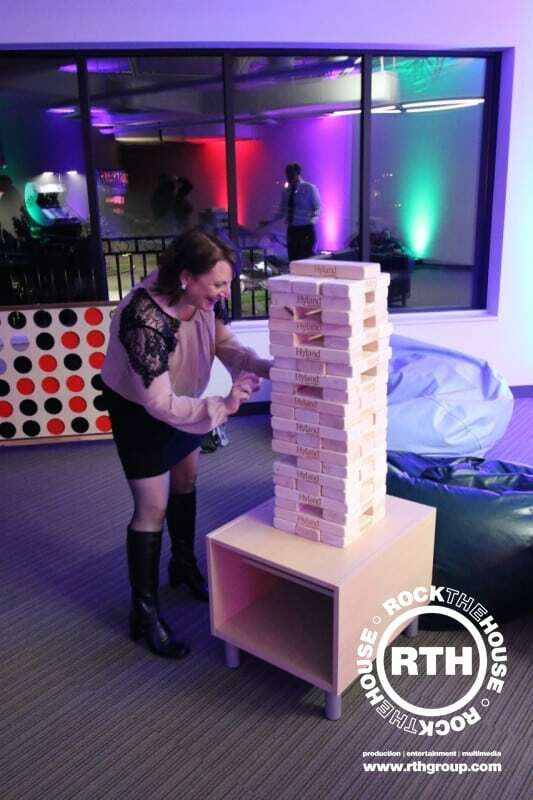 The AAble After Hours Party showcased a multi-million dollar renovation of AAble Rents headquarters. 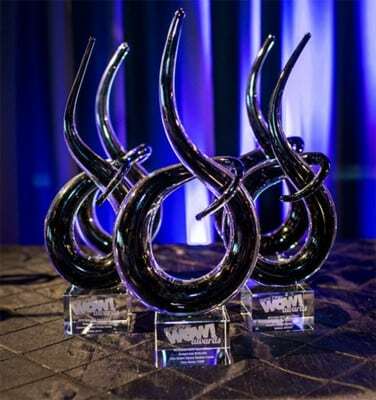 The event all went down after the WOW Awards, with more than 250 special event industry friendors in attendance. The theme of the night was a Miami nightclub, and that’s exactly what was created. 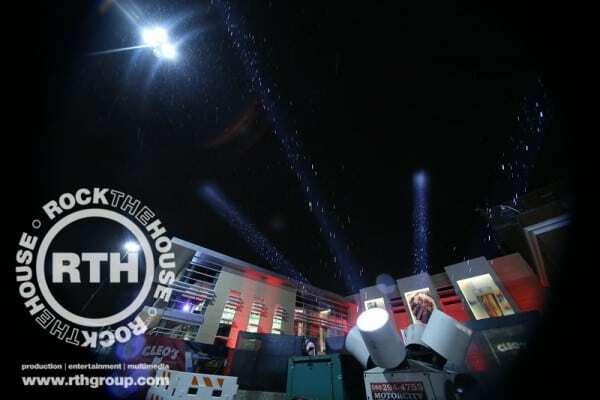 Rock The House brought in 25,000 Watts of sound and provided a stunning and vibrant light show, video projection mapping, a Mirror Photo Booth, SocialCast, and a club-style DJ. You’d have to see it to believe it. Check out the video below! 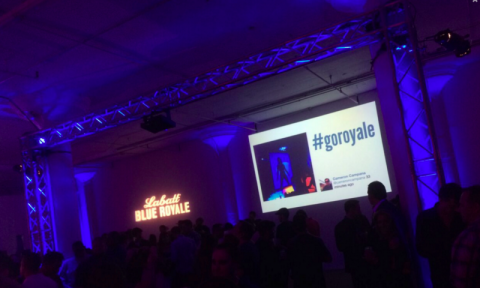 Guests couldn’t even tell they were in a warehouse once the lights went down and the music started. The rest of the night, guests enjoyed food, including Barrio Tacos, a food truck, drinks, and plenty of music and dancing. A big shout out to our colleagues and friends who made the night a huge success: L’Nique, DonutLab, David Corey Photography, Event Source, Superior Speedie Portable Services, Barrio Tacos, and Piccadilly Artisan Creamery! From audio options to staging selections, planning a corporate event is no easy task for even the most seasoned professional. 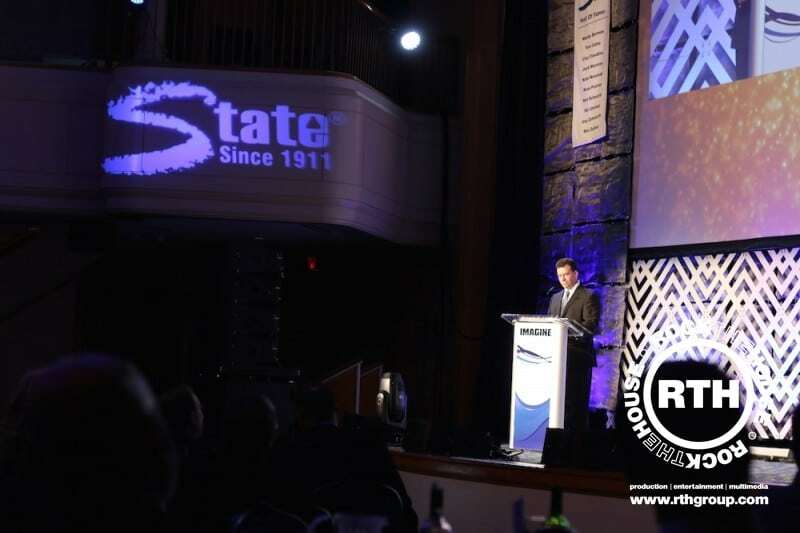 Obstacles like acoustics, inclement weather, and those ever so frequent technical issues shouldn’t get in the way of wowing your guests and giving them more than what they expected at your next corporate event! With modern event technology and audience participation products, corporate events have the ability to become once-in-a-lifetime experiences for guests. 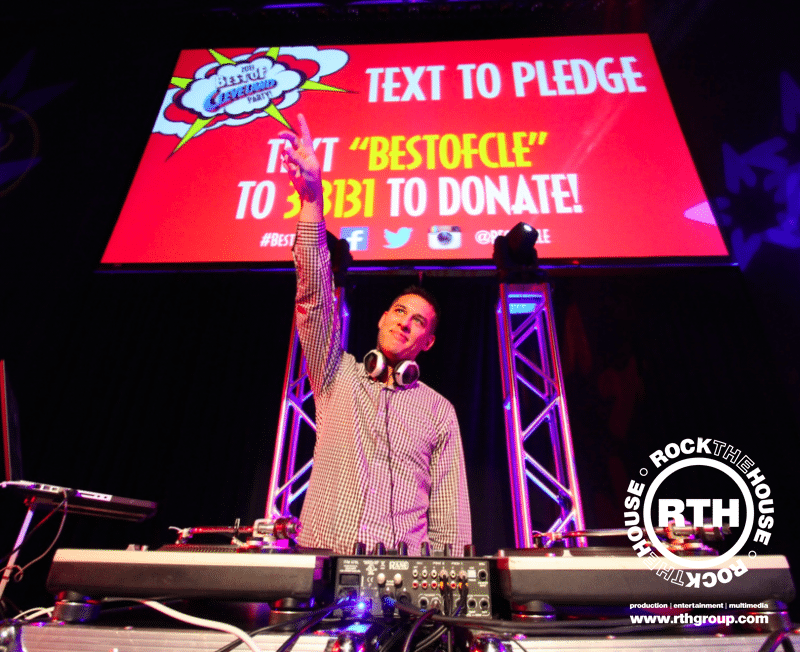 Here are a few ways to give your next corporate event all you’ve got. 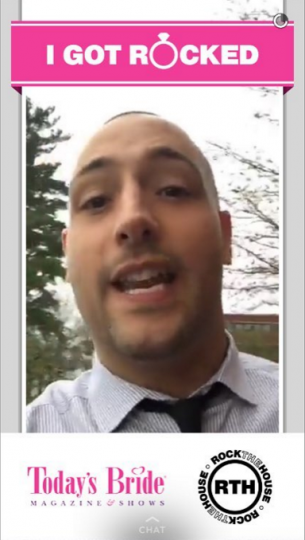 Give your guests a voice of their own with products like SocialCast! Allow guests to interact straight from their SmartPhones with Text Live! Your guests won’t be able to look away when you utilize with show-stopping staging and lighting options! 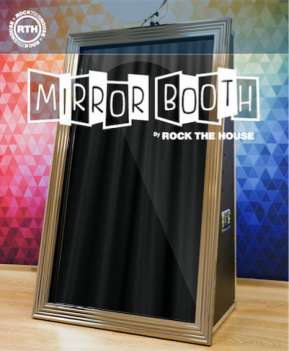 Your guests can take their selfie-game to a whole new level by incorporating a mirror booth! Give your tech-savvy guests an opportunity to show-off where they are and what event they’re attending! We can create custom media based on your organization’s branding that’s unique and fun for your guests. How To: Throw The Best Sports Viewing Party… EVER. With our very own Cleveland Cavaliers marching their way through the NBA playoffs, families and friends all over Greater Cleveland are coming together to cheer on our team. As we all know, a night out at any sporting event can be VERY costly. From tickets, to transportation, food, and beverages, a simple night out can turn into a credit card on a respirator with a hole burnt in your pocket (and soul). All of that “moolah” spent on a night out for two? Why not allocate and relocate the fandom and host a viewing party that ALL your friends and family can enjoy? RTHAV is seasoned in the art of throwing parties. Let us tell you how to throw the BEST sports viewing party EVER that the neighborhood will never stop talking about. Illuminate your home with your team colors. That way, there is no room for misunderstanding where the party is. Your guests will not only arrive at your party with no problems but also feel the team spirit even before walking in! Turn your home into your own personal viewing theater and rent a huge LED monitor for your guests. Your once “average” viewing party with a 40-inch TV is taken to a whole new level when your home turns into a professional theater with a 70-inch viewing screen. Blow your guests’ minds (and not your speakers) by having a team of professionals install top-of-the-line surround sound in your home for the game. The sound system will bring the “just walked into the stadium” feeling straight to your home. You’ll get to feel as if you are at the game while enjoying the comfort of sitting on your own couch. Seems like a win-win in our book! Don’t want to mess up the entire house with people trafficking in and out? That’s ok. Set up your watch party in a tent in your yard. Your guests will enjoy themselves in a new and exciting setting and you won’t worry about footprints tracking through your home from travel throughout the house. Can’t find a sitter? Don’t panic. The kids can be entertained by renting giant, interactive games to play with during the big game. That way, mom and dad can enjoy their time and no child is left bored. 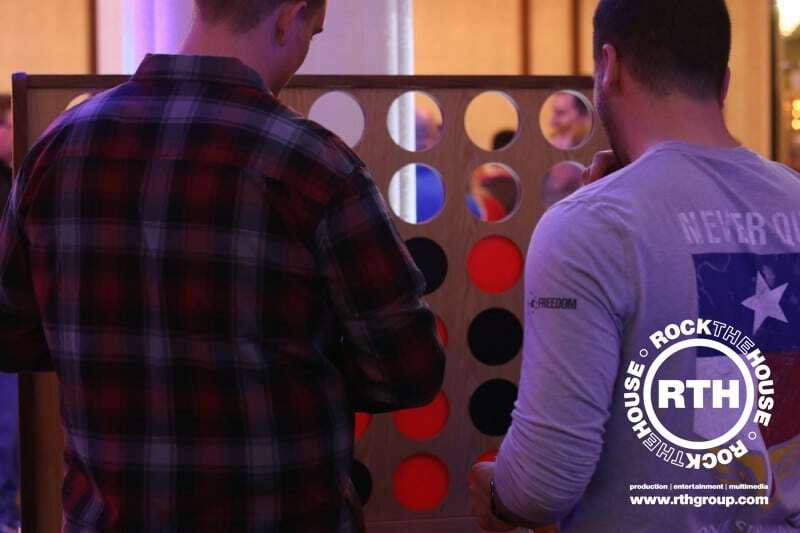 Seldom can parents drag their kids to an “adult” party that they will enjoy, but life-size tic-tac-toe brings the fun for kids of all ages (including the adults)! How do you execute a party to such a degree? 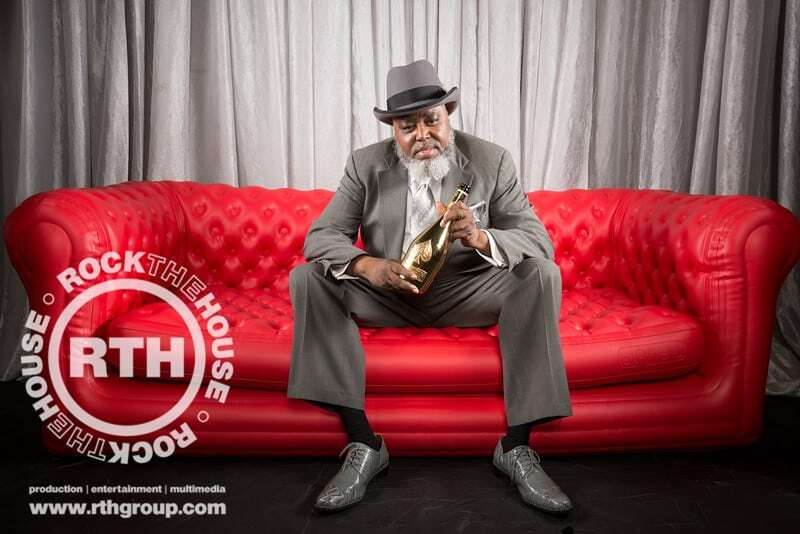 Don’t fret, because when it comes to execution, Rock The House always nails it. Let us provide products and assist you while you throw the best viewing party of the season in the comfort of your own home! 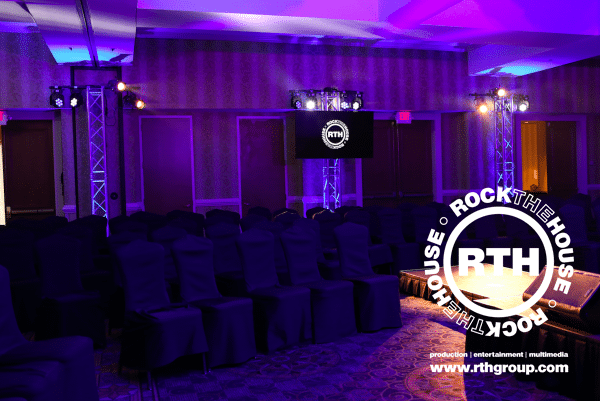 To learn more about how Rock The House Audio Visual can partner with you on your next event, visit our website, call us at 440.232.7625 , or email us info@rthav.com. 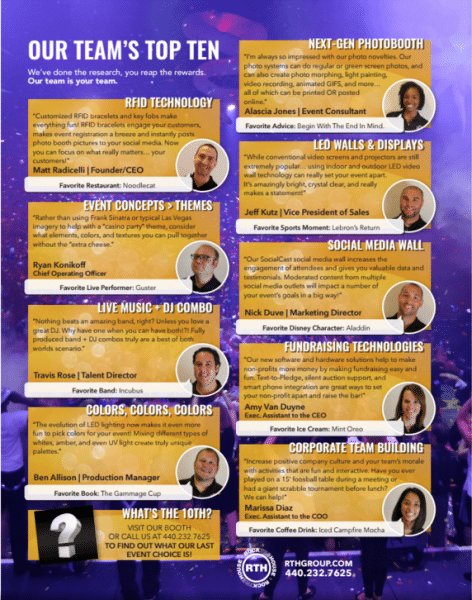 https://www.rthav.com/wp-content/uploads/2019/03/rthav-cleveland-av-rentals-event-production-company2-300x138.png 0 0 Matt Novick https://www.rthav.com/wp-content/uploads/2019/03/rthav-cleveland-av-rentals-event-production-company2-300x138.png Matt Novick2016-06-15 15:47:182019-04-02 16:18:11How To: Throw The Best Sports Viewing Party... EVER. 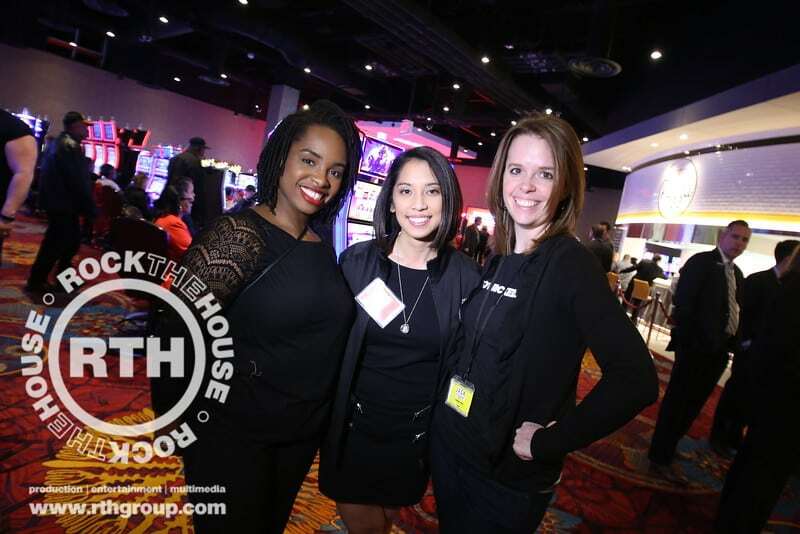 JACK Thistledown Racino unveiled some fresh additions at its grand opening event at its North Randall location, and Rock The House had the pleasure of producing this corporate event. 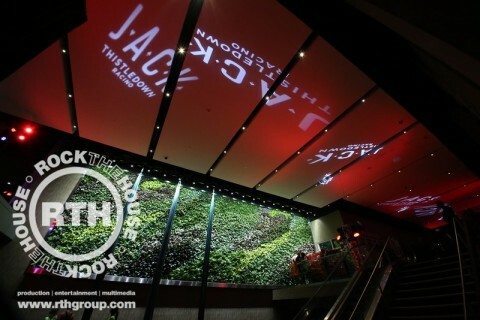 The night was a great success as JACK showed off its $70 million expansion, including new restaurants (pasta bar anyone? ), a sports bar, and even a plant wall. From the custom beach balls and Mardi Gras beads to the rotating gobos featuring the JACK logo on the ceiling, not a detail was missed at this event. Rock The House ensured everyone was greeted at the entrance by aerialists and a piano player, along with special red lighting to go with Jack’s new color pallet. Throughout the night, guests were anxiously excited to try out the photo section, where they had the chance to strike a pose on a bright red couch while trying on an array of props, including hats, sunglasses and champagne bottles. Guests were able to get creative with their friends, family, and co-workers while our friend, Dale McDonald took their picture to commemorate the fun night! The new additions to the JACK are just the first of many. 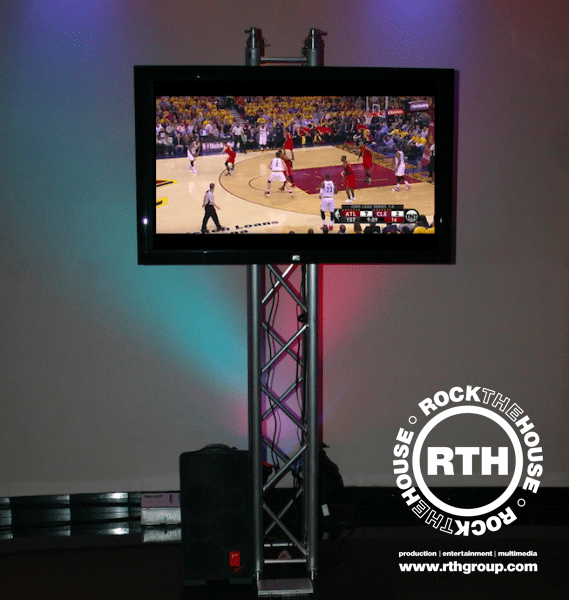 Rock The House was honored to be a part of showing off the new racino and all it has to offer to Northeast Ohio. We can’t wait for more to come! From our team to yours… THANK YOU! 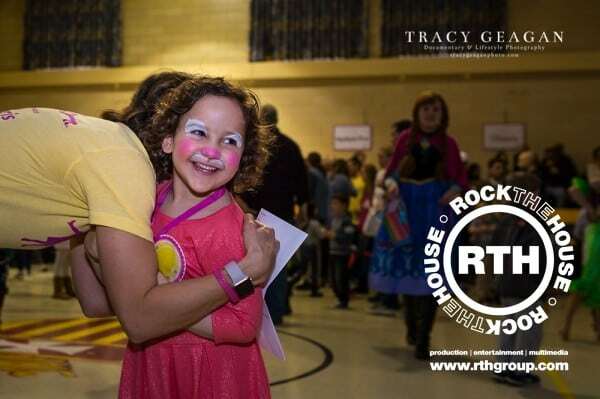 Rock The House had the privilege to entertain at Giannathon – A family-friendly event which raised $25,000 for Alex’s Lemonade Foundation for childhood cancer research. The event honored the young hero, Gianna Andolina, and her amazing family who discovered Gianna’s leukemia diagnosis when she was only 3-years old. 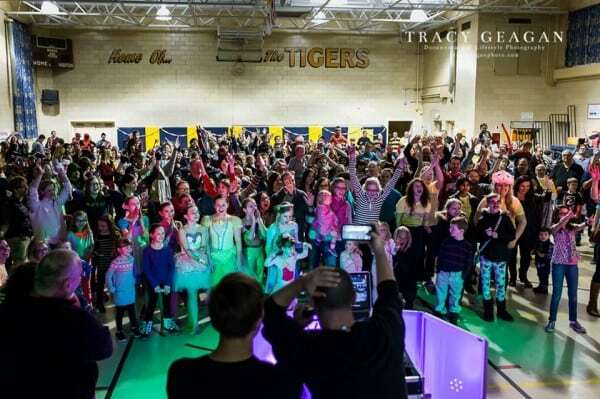 The event, which was promoted as a “family-friendly dance party,” was packed with youthful energy, love, and support for Gianna and her family. 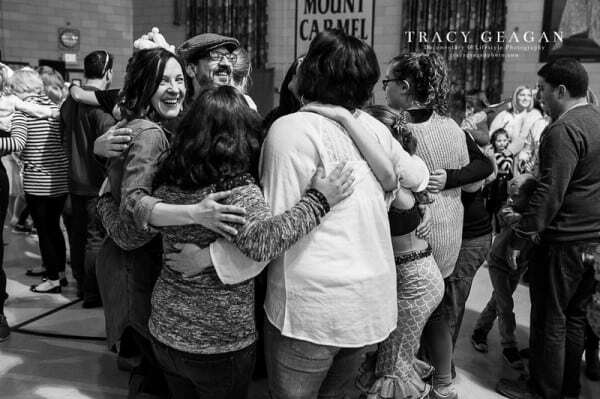 We danced, played, and unapologetically celebrated life – just as Gianna has done through her courageous journey. For more information about how to keep up with Gianna and her journey, follow Giannathon on facebook. Thank you, Gianna, for the inspiration. Can’t wait til next year! Partnering with the right AV company is extremely important. When planning an event, it is important to ask the right questions. Our friends at Socialtables.com have put together five layout questions to ask your AV partner. You can find more great blogs by going directly to their blog site by clicking here. When I first started Endless in high school, we did not own all of our own equipment and I had to work with hundreds of AV companies and over time, I learned there was something massively wrong with the industry. There was lack of customer service in the AV industry. At Endless, we sought to change that, so we formed our own audio visual & event production company. Over the years, we learned what the right questions were and how to make sure we were aligned with the event planners vision to create a successful event. So I’m here to share our deepest darkest secrets on how to make your event AV a success, and what the right questions are to ask your AV company when it comes to the layout of your event. PS: I always try to explain the super technical terms in a simple manner, but if you want to arm yourself with the technical terms to talk to your next AV company, we created a free production guide infographic which will explain some of the common terms we use every day! Where is front of house? Front Of House is defined as the location (sometimes it’s placed on a small stage riser) where the audio, lighting and sometimes video technician have their controls for the event. The best location for this is a place where the technical team can have an optimal view of the entire stage and all of the various elements they are controlling. 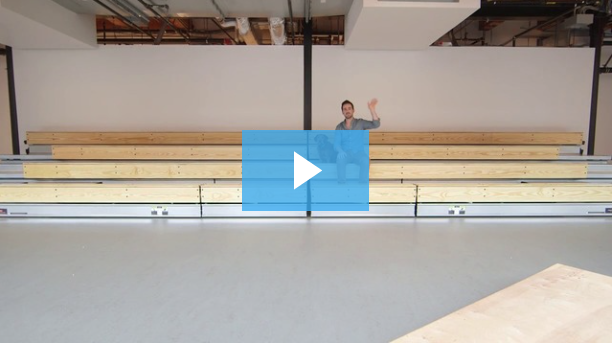 While each has its advantages and disadvantages, common locations are in the center rear of the room, the center of the room (in the middle of all of the seating/standing), and the middle (not the rear and not the front) but off to either the left or right side. On occasion, your technicians may also place themselves behind the stage. The reason this question is important is because depending on the amount of AV you have at your event, this may take up significant portion of your footprint. 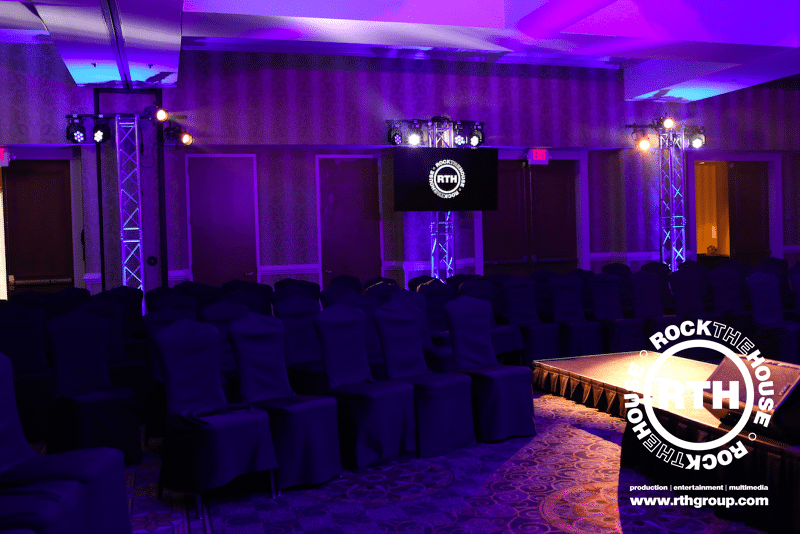 Also depending on what you are looking to accomplish for your event, the location that the AV team has in mind for your event may not work with what you are looking to do. Also, if the AV team is planning on being backstage, and you want them in the rear of the room. There may be added costs by adding more additional cabling such as an audio snake (a simple way of moving lots of cables with one single cable) or a switch to wireless (in the case of lighting primarily). If it works for your event, we recommend putting the front of house off to either side but in the middle of the room because this allows the technicians to see what the audience sees however, doesn’t sacrifice anyone’s view. 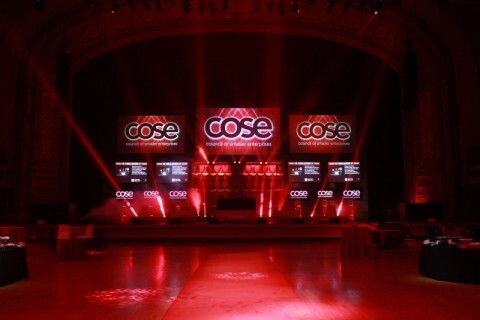 If your event does not have lighting, it is very common to see that your AV team requests to be behind the stage because they do not need a front of house. 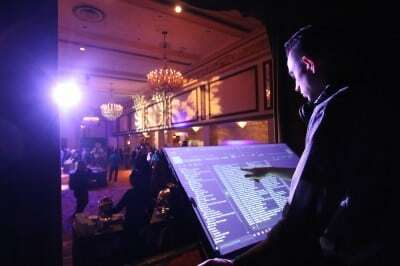 With the advancement of technology, many audio boards can be controlled by an iPad in the hand of a roaming technician, and video can be hidden behind the stage by using preview monitors. Where are you getting power from? Often times, a planner doesn’t worry about where power (electricity) is coming from for their event (to be honest a planner shouldn’t have to) but often the AV company might forget about this minor, yet critical, detail until the very last minute. The reason it is important to ask this question is because you may have power needs as well and it’s important to collaborate to see where each of you is going to get that from. Also it’s very important because when working with an event that has substantial power needs, you need to mark on your layout where a power drop (large boxes which are used to convert power) might be placed. If the AV team needs the power placed on stage left, and it was placed on stage right, it might force them to rerun all of the cabling they had planned. Where are the cables going to be be run? Unfortunately, the AV industry hasn’t gotten to the point where EVERYTHING is wireless yet (we’re keeping our fingers crossed) and the industry standard for reliability reasons is that all of the various elements of an event must communicate using wired technology. It’s important to ask the AV company where it plans to run cables for a few reasons including: safety, aesthetics, and your personal preference. The movement of cables can severely affect the layout and what technologies are used. The first being safety. The industry standard is that whenever a cable is ran across a walkway or a doorway that it will be taped down. However, some venues and planners require stricter cable management requirements. It is best to know this early on. The difference between taping a cable down and running it through an elaborate cable system can add hours of labor time and added costs to your final invoice. Second being aesthetics. At Endless, we are constantly trying to find new innovative ways to make our setups look cleaner and keep cables hidden. However, some planners are very particular about seeing cables. For example, most AV companies consider backstage a “sacred” place where you can be a bit messier with your cables because only talent and the technicians will see the cables. However, if you’d like back of stage to look super tidy and clean, let your technicians know and they will take the extra effort to make it look clean. Also, some AV companies use cable ramps to cover cables however these tend to be bright yellow to avoid tripping. If you do not like the look of cable ramps, other options need to be discussed. Last is personal preference. We recognize that everyone has their own personal preference when it comes to cables. For example, we have had planners who do not want any cables running where people are walking, whether it’s protected by tape or cable ramp. This requires the AV team to rethink how it is going to run that cable then and may affect your layout. Another example, if you do not want cables running across a walkway, but there is no way to get the cable there, then you may have to rethink that walkway or if that piece of equipment needs to be placed there. If you have to run cables over a long distance and you want to save aesthetics, and safety, AV companies can rig (hang) cables across the ceiling however, keep in mind that rigging costs (especially if you aren’t rigging already) may go up for this. 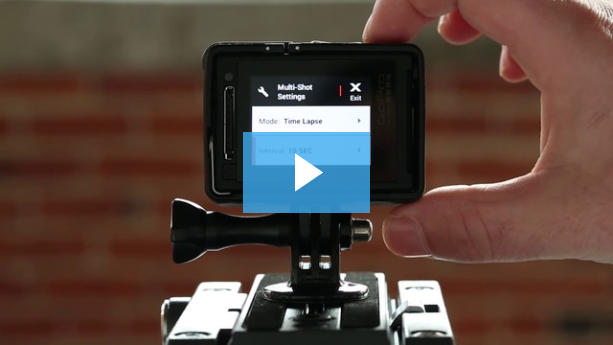 Are the projectors front projection or rear projection? This may seem like a very simple question but it has a whole host of repercussions based on the decision of you and the AV company. This is one of those questions that you OR your AV company should be asking and there are pros and cons to both. 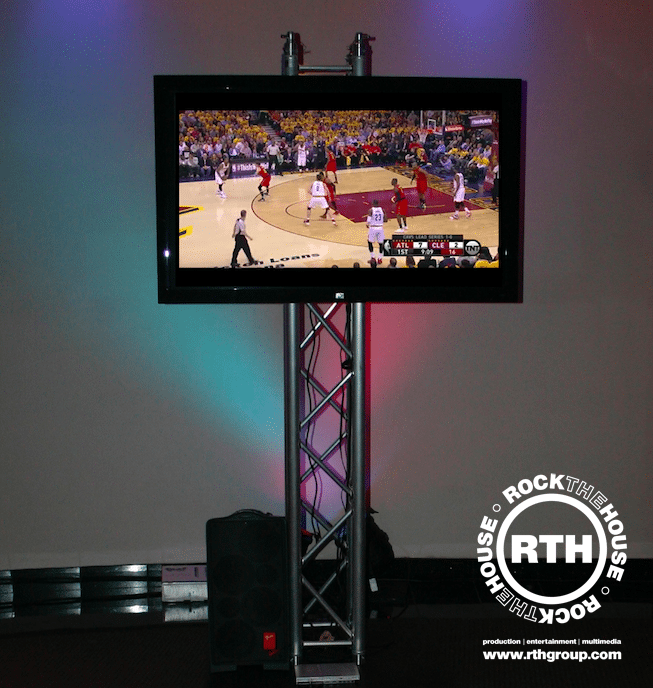 Your AV team should be able to do either rear or front projection and if you have a preference, let your AV team know. If you are rear projecting, your projections will be placed behind stage. This is great if you are looking to safe footprint in front of the stage. It’s also great if you want to avoid when people walk in front of the screen and have a shadow cast on them. However, the downside is you need “throw distance” (the amount of distance needed to fill the entire screen) and if you don’t have enough room behind stage, then this might not be possible. However, be sure to ask if they have any “short throw” projectors available that need less distance to project though they might be more expensive. Front projection is obviously the opposite of rear projection. If you front project, you have to keep in mind that you need to place the projector in front of the stage and that may be a location that a seat or table currently occupies. In your layout, the AV company should be placing your projector and screen and calculating it’s exact location. There is a compromise to doing front projection but not taking up foot print, and that is to rig the projector to truss (metal systems used to hang lighting, video, etc) or to the ceiling. Keep in mind though, rigging is not possible in all venues, nor can it be cheap. What is this all going to look like, really look like? So your AV company has created this epic list of equipment and verbally explained that it’s everything you’re looking for, and you feel happy, but it feels like something is missing. Then the day of the event shows up, and it’s NOTHING like you expected. The screens are smaller than expected, the stage is too small, and there isn’t enough lighting! There is a very simple way to avoid this from ever happening to you. Request a 3D computer assisted design (CAD) from your AV company. Most AV companies do not offer this because they take a long time to make, but if you request one, they should be willing to do one because it will make sure everyone is on the same page. 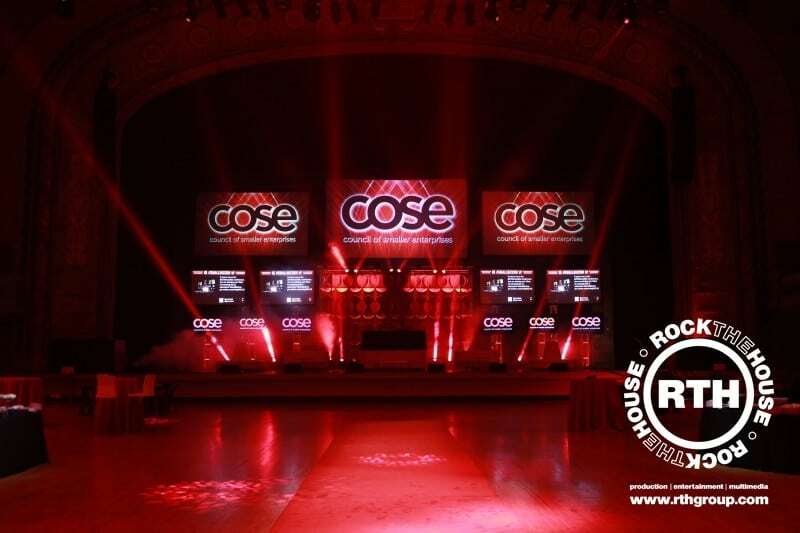 A 3D CAD will allow the AV company to transform your list of equipment into a three-dimensional rendering of exactly what the stage, screens, lighting, video and everything will look like. Modern CAD softwares even let you see what it looks like with the lights in different colors and even do fly throughs of the event so you can see what it will be like to be there! Quick Tip: While the first CAD design can be easy. Try to get it perfect in as little amount of revisions as possible. Sometimes the first CAD may be free, however the 3rd or 4th revision may costs you money (especially if it’s a complete overhaul). At Endless, we found that many of our clients weren’t on the same page with us as far as what it would like and where things went so we now include 3D CADs and simple layouts for all our events so that we are all on the same page. 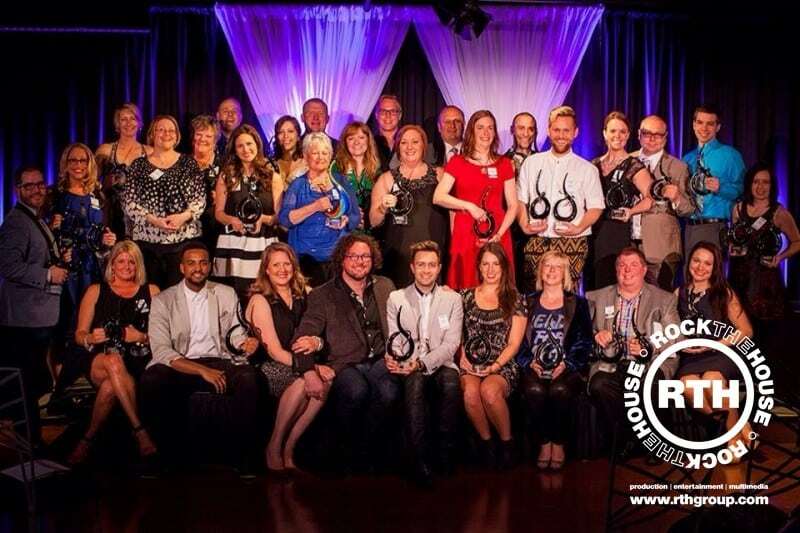 On Friday, April 17th, the who’s who of the local events industry congregated in Columbus, Ohio to celebrate the 4th Annual ISES Ohio WOW! Awards. Cameron Mitchell Premier Events hosted the assembly, and the Ivory Room of Downtown Columbus provided the illustrious setting. 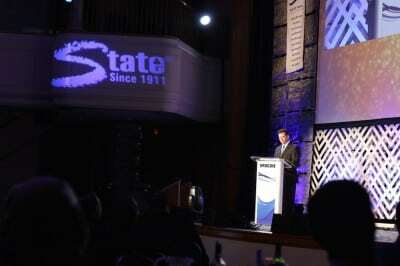 Representatives from more than 20 Ohio based event and entertainment groups and corporations were present. 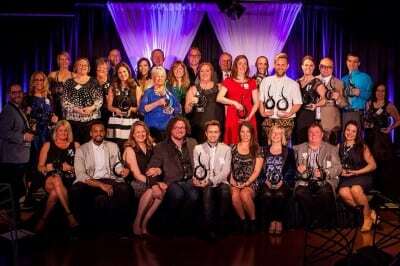 ISES, which stands for the International Special Events Society, has a Cleveland chapter that’s been active since 2008. The 100 plus member organization hosts events throughout the year designed to help companies like Rock The House grow and expand their reach, all while giving back to the special events community. 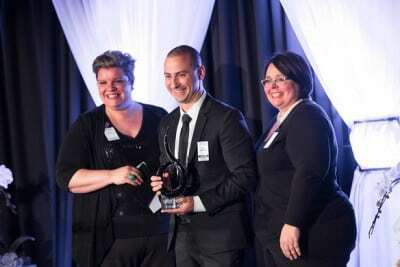 Also, as with any business, ISES imparts the importance of networking and community outreach. With the multitude of representatives from like minded organizations always in attendance, these events provide a stage for just that. 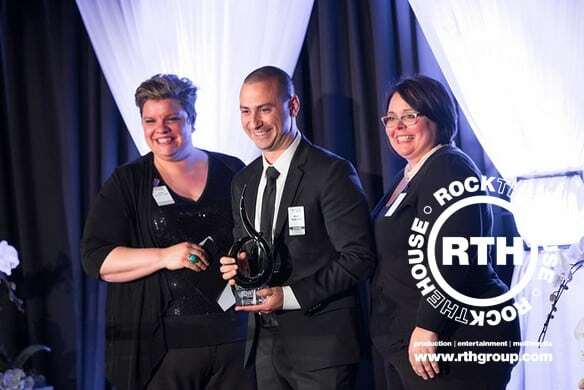 Representing Rock The House was Founder & CEO – Matt Radicelli, COO – Ryan Konikoff, and Executive Assistant to the CEO – Amy Van Duyne. 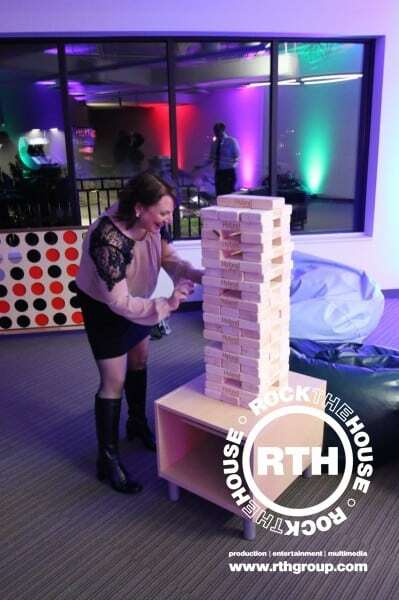 The ISES Event Volunteer Collaboration recognition was bestowed upon Rock The House and some of their associates for an event called ‘A Mammoth Night of Networking.’ Rock The House partnered with the Cleveland Museum of Natural History, Event Source, Solus Lighting and Executive Caterers to make that night a huge success. 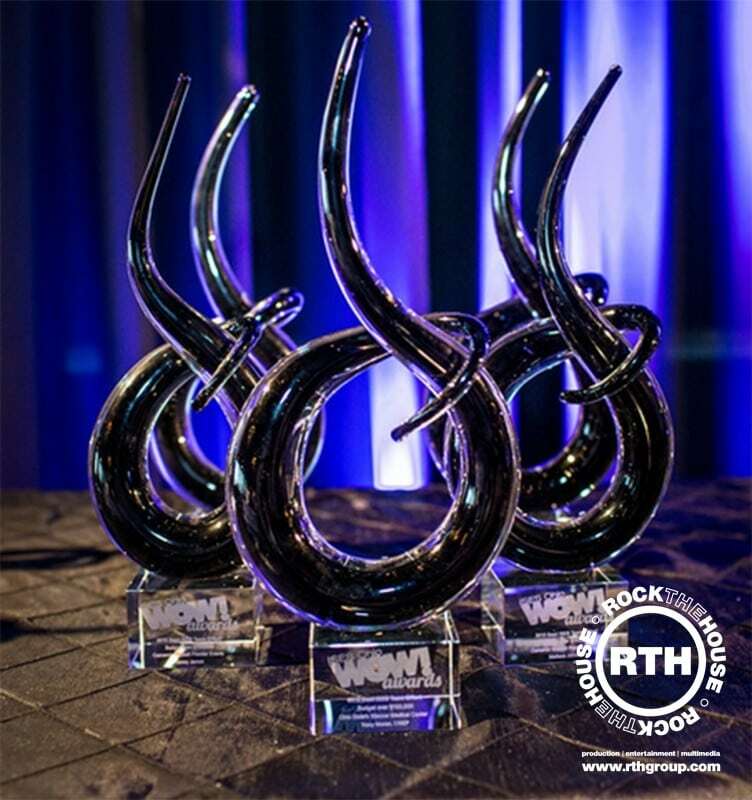 Rock The House also expresses a special congratulations to our sister company, Zone Entertainment, who came home with three additional WOW awards! 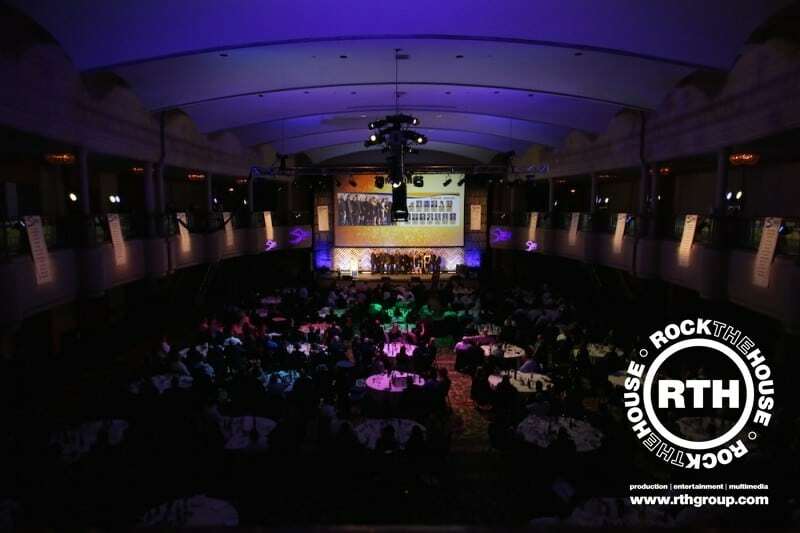 Over the years Rock The House has impressively collected 13 total ISES Ohio WOW! Awards. With the company rapidly growing, it doesn’t appear they’ll be slowing down anytime soon.